Some great games to report on this week with our Firsts, under 16’s, 14’s ,10’s and 9’s all in action. 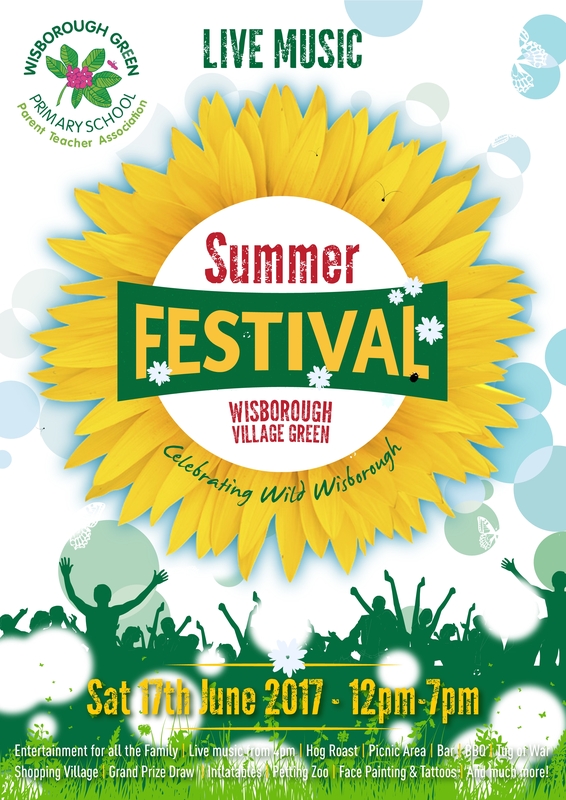 Sat 17 June is the Wisborough Green Summer festival on the Green from 12pm – 7pm, and this time around it’s going to be wild!! The theme this year is Wild Wisborough – a topic the children have been studying this term, and incorporates everything wildlife! Alongside the usual fun of the festival, there will be a Wild Wisborough Photo Competition, a Hobby Horse of the Year Show and live music from 4.00pm from XL : Live and the JukeBox 6. There will be lots of food and drink available, as well as plenty to keep the family occupied including face painting, a grand prize draw, bouncy castles, and our shopping village. Proceedings will begin with the traditional May Queen procession at midday before the children give a Maypole display followed by a full programme of entertainment. A really big thank you all those who help to prepare the Green and Collards every week – most notably our new Club President John Pleasants and club stalwart Ken Vickery. A huge amount of time and effort goes into the preparation of the grounds every week – something we probably all take very much for granted. We regularly get very positive feedback about our grounds from visiting teams so a really big thank you to you guys for all your hard work ! We are very aware that some may not even know who John and Ken are and we thought we would partly solve the problem by showing you a picture of Ken this week on a normal night out. Click here for Ken’s pic . Does Cloudcover affect the swing of the ball ? This week we thought we would do something slightly different and look at some of the more technical aspects of cricket. Cricketers have an unswerving belief that cloud cover affects the swing of the ball . Is there any scientific to support this evidence ? Former England captain Freddie Flintoff explores. Click here for a very interesting clip. Click here for the senior team selections for this weekend. 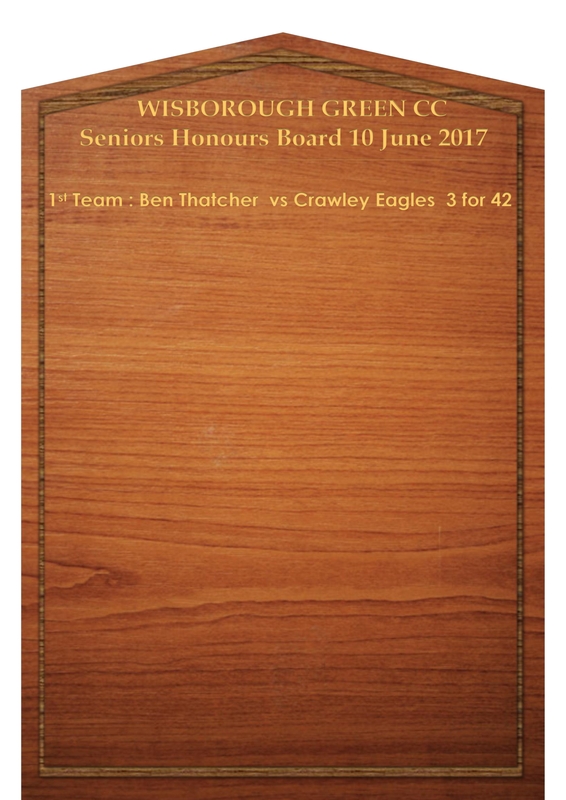 Thatcher takes 3 early wickets but Crawley chip, prod and slog their way to low target. Teas the highlight of the day as Lasagne goes down a storm. More work required in the nets. Green won the toss and batted. After a good start with openers Francis and Dodd putting on 34 in quick time Wis lost wickets at regular intervals. This was mainly due to poor shot selection on a slightly tricky deck. There were 7 scores between 13 and 17 but only Doddy (29) got past 20. With the ball and in the field the effort could not be faulted. Napper and Thatcher caused problems first up and they were well backed up by the other bowlers in general. Just that one bad ball per over quite often cost us. Sadly the luck wasn’t with the home side and the ball seemed to elude fielders whenever it was chipped in the air by the batsmen. 1 or 2 tough chances were put down and 1 easy chance was shelled. Overall it came down to making the wrong call at the toss. Not the skippers fault it was a team decision and when we did bat none of the batsmen built on the starts that they got. Stand-in skipper Jonny Farmer – “Wow! A real baptism of fire! A game we really should have won but didn’t put enough runs on the board. Would be easy to blame the decision we made at the toss but the fact was there were runs out there for people who batted sensibly. Sadly we couldn’t put anything together. Pleased with the way we bowled. They took almost 40 overs to reach the target and with a little more luck we might have put some real pressure on them. A lovely Sunday afternoon saw the Wisborough Green Colts take on Horsham at Collard’s Field. 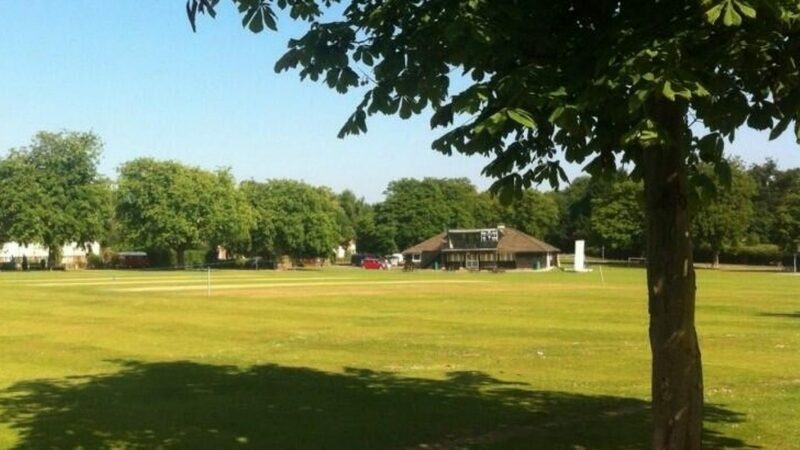 Horsham batted first and recorded a first innings total of 281 off their 16 overs. The Wisborough Green Colts bowled and fielded very well to restrict the visitors total. The fielding in particular was very good with a number of boundaries saved in the deep. Congratulations to Dexter McCullen the leading wicket taker with 2 wickets in his allotted overs and a special mention to Finn Versteeg who fielded very well. Rufus and Oliver also restricted the batted with accurate line and length bowling. After a quick break Wisborough Green began the run chase. Finn and Rufus, William Green and Oliver, Imogen and our captain for the match Eden, and Dexter and Flynn all did very well with all the pairs recording positive scores for the team. In the end and after a great attempt to chase down the total, Wisborough scored a total of 249 off their 16 overs. After taking wickets into account, congratulations to Flynn and Oliver who were joint top scorers for Wisborough Green. A very good performance from the Wisborough Green Colts with notable improvements in their batting, fielding and bowling. 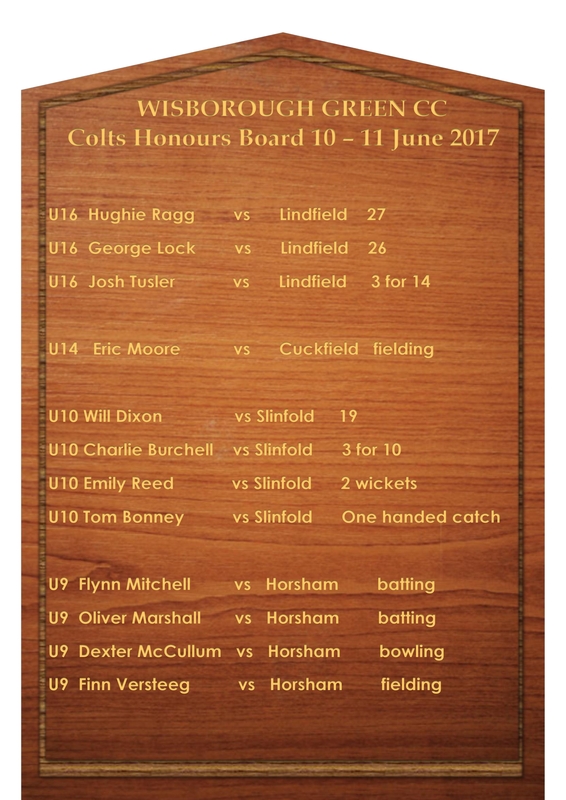 Well done to all the Colts who took part in the match.